Comfortably conforms to the natural body contours. Cover is removable and machine washable and is wrinkle resistant and needs no ironing. Large size 12 1/2x2 3/4 ideal for home, office and travel. View More In Wheelchair Accessories. If you have any questions about this product by EasyComforts, contact us by completing and submitting the form below. If you are looking for a specif part number, please include it with your message. 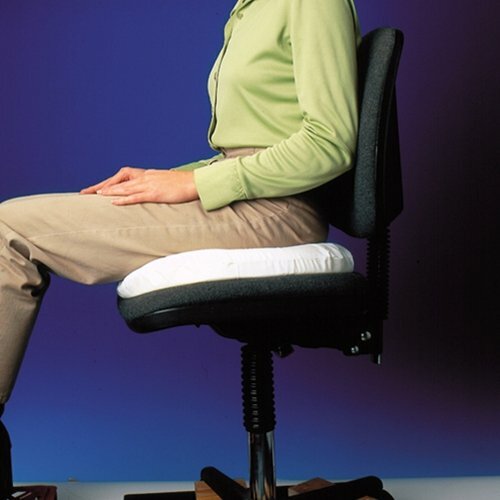 Everest & Jennings 8100166 Comfort and Dual-Layer Foam Cushion, 16" x 16" x 3"
Drive Medical Gel-U-Seat Gel/Foam Cushion, 18" x 22" x 3"
Drive Medical Premier One Foam Cushion, 22" x 18"